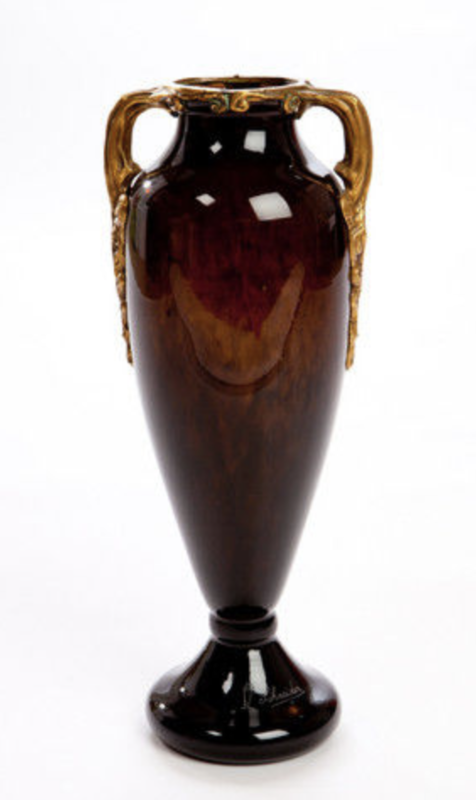 It is the first time that I have found a vase made by Schneider with a bronze mount. The signature is with the amphora and the color is a sort of brown, olive green color and the color and the signature tell us that it is one of his earliest vases. The bronze is beautifully made with much details. To fasten the bronze, the vase has been cut and drilled, very difficult to do as you risk breaking the vase. 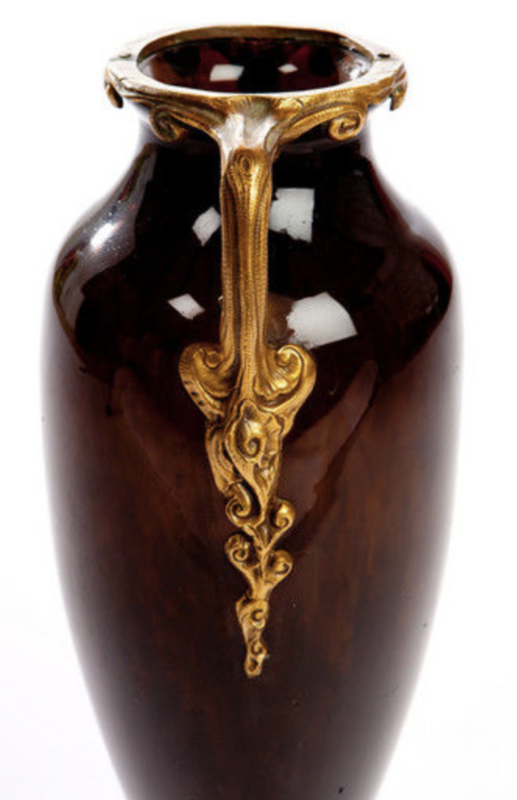 The vase itself is almost like the amphora in the signature.